Come along and celebrate the Iconic Minis’ 60th Anniversary with Stourbridge Automotive Ltd and in conjunction with the British MINI Club. 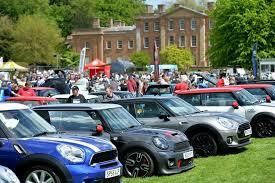 The show will be attracting all types of Mini’s and variants from 1959 to present day at this family day out. 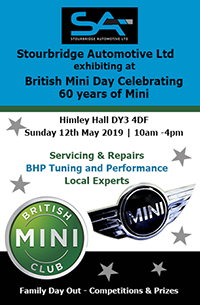 Visit our stand on the day to see what we are about at Stourbridge Automotive Ltd.
Also on our stand, you will be able to browse our merchandise including your favorite MINI products. Win tickets to visit MINI Oxford, for a tour of the Plant which builds more than 1,000 MINIs each day. 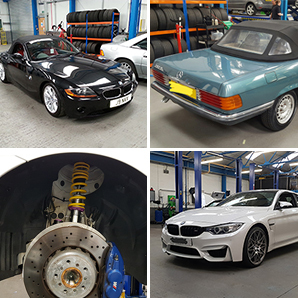 This attraction has been recognised by Visit England with a ‘Best Told Story Accolade’ for its factory tour, which gives visitors a behind the scenes look at how this iconic British car is made. All you need to do is, enter at our stand, by registering your name and email address into a draw made on the day. Children’s lucky dip and a chance to win a prize by entering into a draw made on the day. Draw prizes announced at 3pm on the day at the event at our stand.